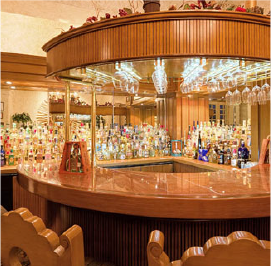 Tequilas Bar displays nearly 200 types of tequilas. Ask the bartender for the specialties of the house, the Chocolate, Coconut and Lemon Margaritas. It is located inside our fine dining restaurant "Antonio's". Open daily from 7:00 p.m. to midnight.